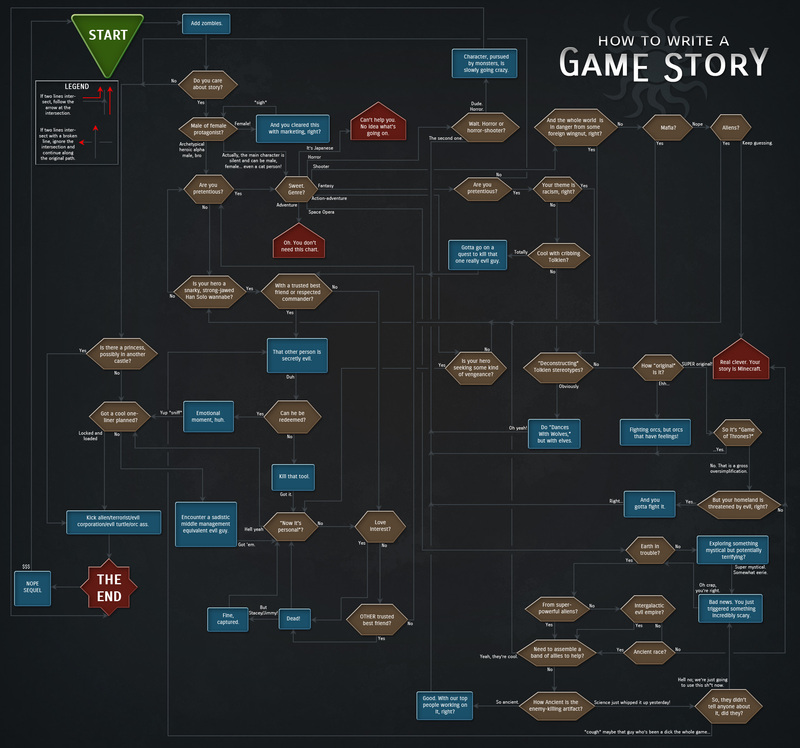 Having just endured the train wreck that was Far Cry 3's narrative arc, now's the perfect time to look at this guide by GameFront on how to write a story for a video game. It may look like a joke (and because it is a joke, it gets a little wonky in parts), but think about the story to a game you've played in the last five years, then see if it breaks this chart. I was hoping this would be genuine article about how a developer (or several different companies) developed their stories for games and not ... this. Is this the famous Luke Plunkett journalism I've heard about? Hey Luke Plunkett, about Far Cry 3's story arc. The message and themes (descent into inhumanity, selfishness, greed, corruption, the lure of power over others, believing lies/religious rituals as truth and justifications for murder.....i could go on) behind the story was not meant to be profound in Far Cry 3's gaming world, but rather was reflecting the "non-fictional" world and there-in lies it's value for those with the ability to see. The more you know. 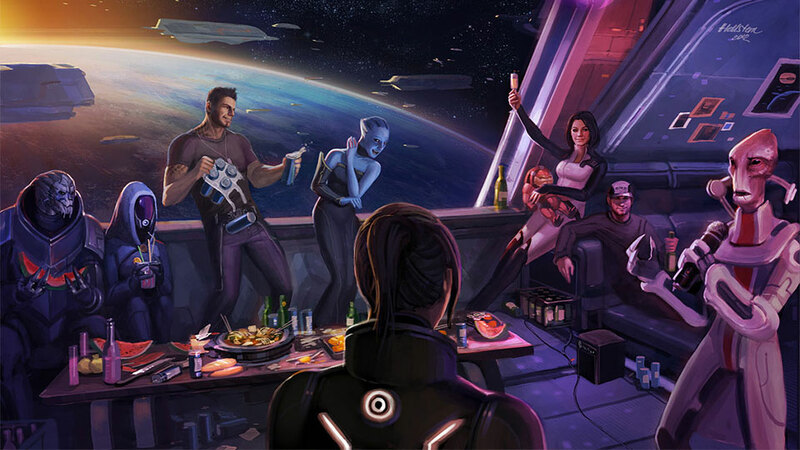 why is miranda nursing a baby krogan? I find it interesting that the cover image is from ME3, even though Mass Effect breaks the flowchart at the second question (add zombies isn't a question).